A train ride with her daddy! 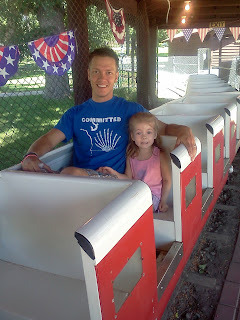 Selah had a great time on this little train with her daddy over 4th of July weekend! :) Good memories! How cute!! Now she'll have a great memory of a fun Daddy Holiday. Thanks for riding the train today!! Now following so I don't miss out on any of the good stuff.